Although we humans tend to abhor chaos and avoid it whenever possible, nature uses chaos in remarkable ways to create new entities, shape events and hold the universe together. 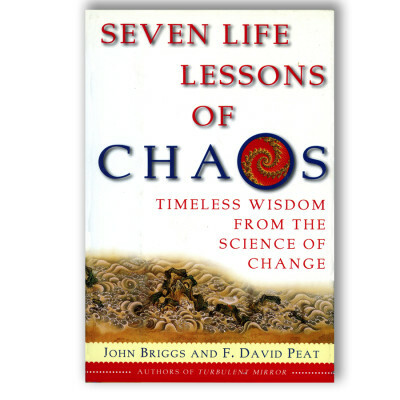 This revelation about chaos was first made by scientists about 30 years ago and has been actively investigated since. But the real meaning of chaos for us, as individuals and as a society, is only now beginning to be explored. Just what is chaos? The answer is many-faceted and will take a little explanation. To begin with, chaos turns out to be far subtler than the common-sense idea that chaos is the messiness of mere chance–the shuffling of a deck of cards, the ball bouncing around in a roulette wheel, or the loose stone cascading down a rocky mountainside. The scientific term chaos refers to an underlying interconnectedness that exists in apparently random event. Chaos science involves focuses on hidden patterns, nuance, the “sensitivity” of things, and on the “rules” for how the unpredictable leads to the new. It is an attempt to understand the movements that create thunderstorms, raging rivers, hurricanes, jagged peaks, gnarled coastlines and complex patterns of all sorts, from river deltas to the nerves and blood vessels in our bodies. — Fritjof Capra, author of The Tao of Physics and The Web of Life.